Paul McNevin, master teacher & musician takes you step-by-step from holding the fiddle and bow to playing your first tunes. 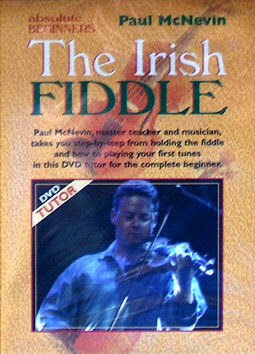 One of Irelands most exciting fiddle players, Paul McNevin has had an equally influential career as a teacher. During his long association with Comhaltas Ceoltoiri Eireann, he won the All-Ireland Slogadh and Plearacha competions and received his Comhaltas teaching diploma. Paul has toured throughout Europe with the Donal Lunny Band, Damien Quinn and Speranza, among others, and has been a regular guest with Stocktons Wing and the Riverdance dancers.